So we’ve gathered a good understanding of what strikes a chord with people looking for a boat share. With so many boats now up on our site, competition can be quite intense to grab the eye of prospects, so how do you get your boat standing out from the crowd? Here are some of the best ways to get noticed. When people first come on Boat Share Finder, they go through the search options to specify what location or boat type they’re looking for. The first paragraph of the listing is what they’ll see. If it’s a checklist of boat features, they’re unlikely to click through to see the full advert. Assume that the person browsing has a short attention span, so you’ll need to grab them immediately with relevant information they’re after. Where is your boat located? What type of boat is it? What is the share offer? How will the agreement work? Try to get all this information in a punchy informative style into the first paragraph of our listing and when people search through they will immediately get a clear idea of what you’e offering. It’s highly unlikely that anyone who is browsing Boat Share Finder is a telepath. So if you don’t describe properly how your syndicate works, you could be missing out on getting prospects to contact you. It’s not just the price and share number that people are after. They’re also wanting to know a little bit about the details of the syndicate. Do you do your own repairs? Do you sail together? What system do you use for locating time to each of the owners? You don’t have to go into intricate detail at this stage, but give enough to pique their interest. Most successful syndicates have a key ingredient known as chemistry. If you're going to be sharing an asset with someone, you have to know you also share the same values. So don’t be afraid to give a little personal information about the sort of person you are and what is important to you. If you can’t abide untidiness, then say so up front. People want to know a little about the person with whom they’ll be entering a share agreement. When you buy into a share, it’s not just the boat, it's the area you’re buying into. 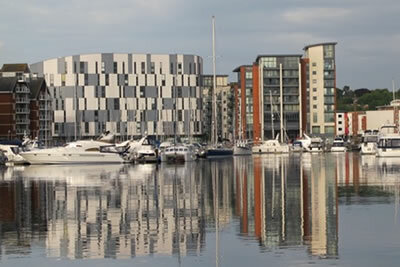 So a little bit of information about the marina can be very valuable. How far away is the parking? Which are the best restaurants nearby? What are the marina facilities like? Have a chat with your current syndicate members and think about what is important in the area to you. This then becomes a feature on your listing. Many listings put more emphasis on the wording of the advert than the pictures. But a polished clear professionally taken picture can grab someone more than you may realise. Airbnb realised early on that amazing pictures make a huge difference to their bookings. In fact properties with professional pictures can increase the bookings 2.5 times more frequently than those without. They believe in it so much they offer a free service to send a professional photographer to your home. We may not have the service on offer, but we may be able to put you in touch with a photographer in your area. The visuals are the first thing people see, so a little expense in this area is highly advised. 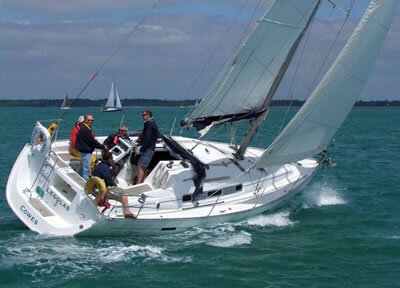 Have a look through the listings on Boat Share Finder and see which ones appeal to you. There are many that include pictures of the current owners taking the boat out. Big smiles, having fun - see how appealing this can be? It says to the prospective sharer - come on board, we’re friendly. Purchasing a boat is not a weekly or monthly decision for most people. So you need to be prepared to do a little bit of marketing to enhance the chances of catching someone who is in a buying frame of mind. Social media is an excellent way to reach many many people at little expense. At Boat Share Finder, we regularly tweet out listings from our site, but any promotions you can do will help reach a wider audience. Get your friends to share and retweet your listing too. The wider an audience you can reach, the better.